This Halloween, we're inspired by dark, moody florals, candlelit rustic tables, and jet black wedding gowns and shoes. 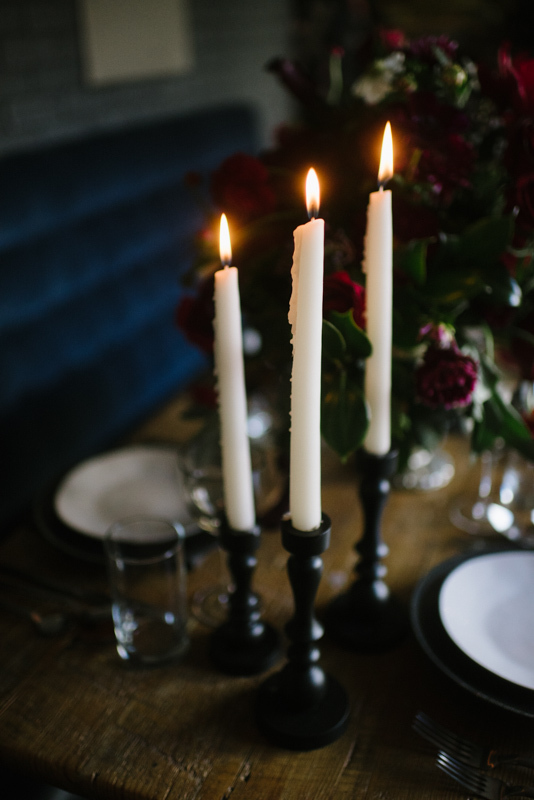 For a Halloween wedding, go dark and dramatic with a romantic take on spooky styling. Gowns by Claire Pettibone Romantique and Galia Lahav, shoes by Emmy London. A New Look, a New Location... the New Little White Dress!